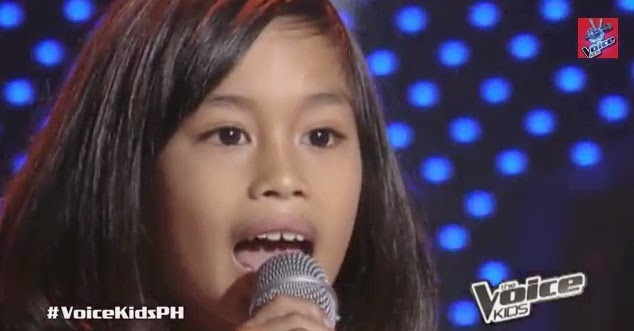 Manila, Philippines - An 8-year-old from Negros Occidental was the fourth "The Voice Kids" contestant to turn all three chairs in the reality show's third episode of blind auditions on Saturday, May 31, 2014. Angelico 'Echo' Claridad who hails from Bacolod City, performed a Bee Gees song "Too Much Heaven" which amazed the judges Sarah Geronimo, Bamboo Manalac and Lea Salonga. Lea Salonga said Angelico's voice is 'pang all-around the world'. The Broadway star showed him the world map that immediately won Echo's heart. 3-chair turner Angelico chose Lea Salonga as his mentor. The Saturday's episode of 'The Voice Kids' dominates online conversations with 'Czexyle', '#VoiceKidsPH', 'Too Much Heaven', 'Tito Bamboo', 'KBL - Kasal', 'Tonton' and 'Bee Gees' among the trending topics. Don’t miss “The Voice Kids” every Saturday (May 24), 6:45 PM and Sunday (May 25), 7:30 PM on ABS-CBN’s Yes Weekend.